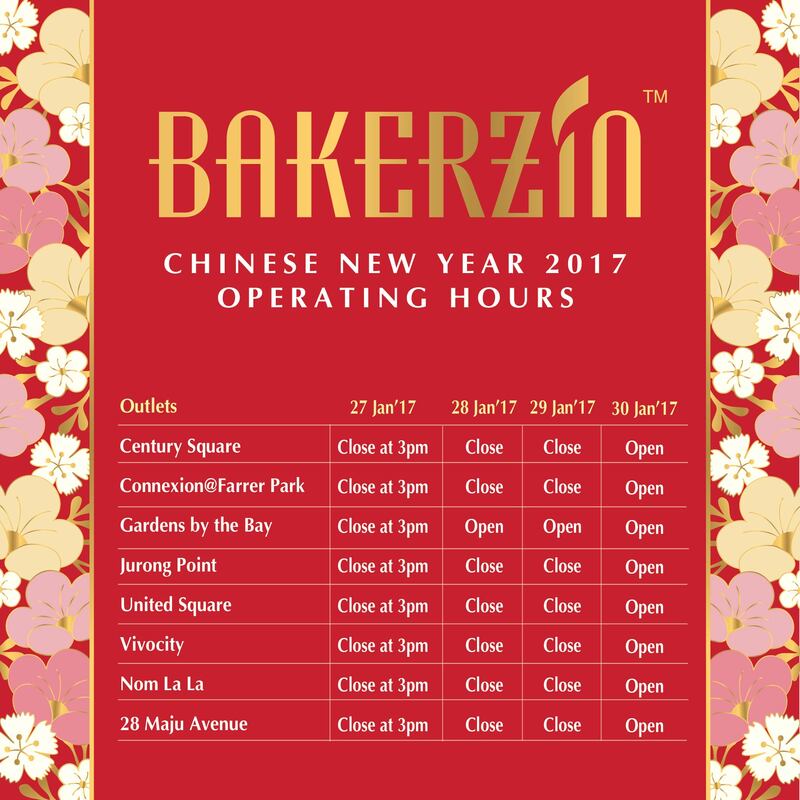 Wednesday | January 25, 2017	Dear Valued Customers, all our 7 outlets are closed on the 1st and 2nd day of the Chinese New Year and will resume business on the 30th January 2017. Business as usual at Gardens by the Bay outlet during this festive season. All deliveries and self-collection will resume on 2nd February 2017. Hereby, Bakerzin’s management wishes all a Prosperous Chinese New Year in the Year of the Golden Rooster!